Customizing your vehicle through vinyl application is a fun way to make your vehicle as unique as you are. 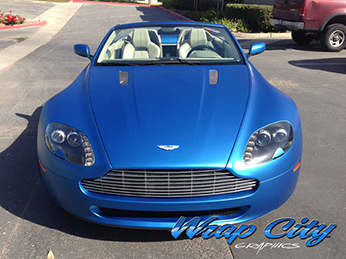 We offer top of the line color change vinyl wraps and graphics in an assortment of colors, textures, and finishes. We can even create custom printed designs, laminates and finish combinations that other, less experienced shops simply can not do. 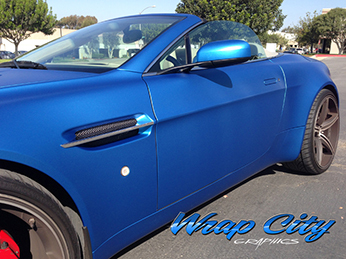 Wrap City, Inc. and it’s experts have been installing custom color change wraps for more than fifteen years in San Diego, California and beyond. Time has taught us valuable lessons about properly vehicle disassembly and installation techniques. Each of our color changes wraps start with prepping the vehicle by carefully removing the badges, trim, door handles, lights, and accessories. 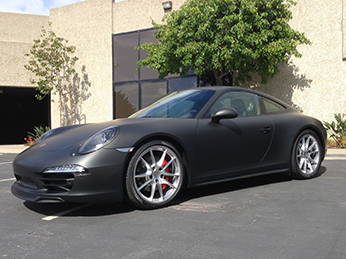 By preparing the vehicle this way, your wrap installation is performed at a premium level. This method also promotes the longevity of the wrap, minimizes cuts made to the material that can also cut/scratch paint when not done by an expert. Many customers who have had color change wraps done elsewhere have come to realize upon removal of their wrap, that the installer, usually long gone by then, has cut the paint and left unsightly scratches on the finish. This is just one of many factors to consider when choosing a color change wrap. 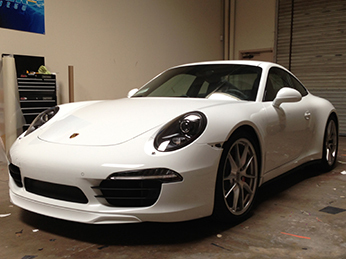 We use only high quality 3M and Avery Dennison vinyl for all of our wraps. We will never install cheap vinyl on your vehicle nor will we install customer supplied vinyl for this very reason. It is important that the vinyl you select has been manufactured as recently as possible as there is shelf life of the adhesive and even premium brands will fail to adhere eventually. It is important that the vinyl purchased and installed on your vehicle has been stored in a temperature and humidity controlled environment prior to installation for best quality. Many customers ask if the vinyl will protect or damage the paint. There are two answers, yes and no. One, the vinyl will protect the finish from surface scratches, bird droppings, UV exposure, etc. on a new or never repainted vehicle. In fact, the finish is sealed under the vinyl and will be in the condition it was the day we wrapped it upon removal in most cases. Vinyl is not as thick as clear bra (about four times thinner) and should not be considered an equal or replacement for clear bra protection, however. Small rocks chips and debris can chip the vinyl just as a rock could do to your paint. In the event that your vehicle has been repainted we will need to test those areas before beginning a complete color change installation to your vehicle. In some cases, if not done properly, bodywork and paintwork can fail upon the installation of a wrap. 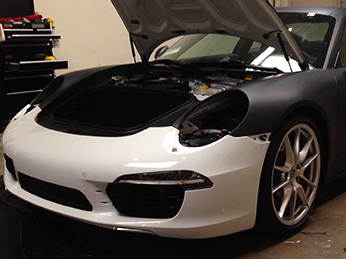 It is imperative for us to know if your car has been repainted anywhere prior to a vinyl wrap installation. Vinyl wrapping is also not considered a solution for bad, flaky or peeling paint. Many potential customers have inquired about covering their paint issues with vinyl. This method would be throwing good money after bad. In order to properly wrap a car, it must be free from issue on the surface, providing a clean, smooth surface for the vinyl to adhere to is imperative. In the case of failing clear coats, it is necessary to have those areas of the vehicle sanded smooth. Depending on the severity and scope of the prep work needed, we can perform this service, we have a body shop next door to us or you can have the body shop of your choice prep the surface first. 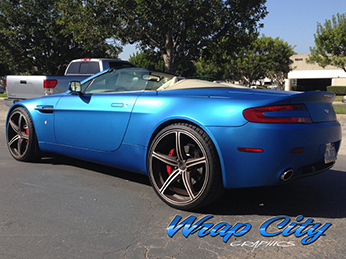 Wrap City only performs complete color change wrap installations and requires a minimum job of $500 to book an appointment with us for any custom color change work. As an option on our complete color change wraps, we do offer wrapping of spoilers, mirrors, window trim, etc. We just DO NOT do these items a la carte. – interior trim, we will wrap interior trim if it is brought to us removed from the vehicle. We DO NOT remove interior trim from vehicles.